Project the spirit of your favorite hero with this mini cosplay backpack made of faux-leather! 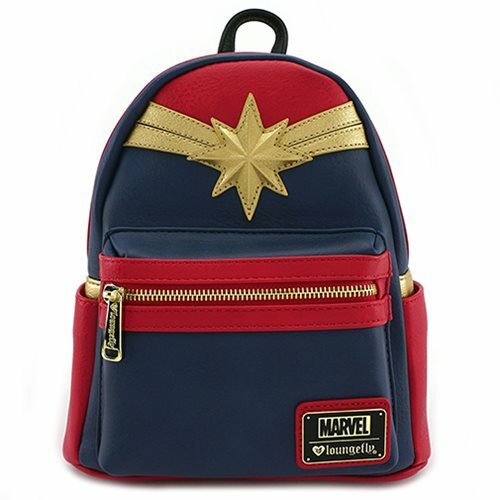 This Captain Marvel Mini Cosplay Backpack includes shoulder straps, a top handle, front exterior zipped pocket, two side exterior pockets, a fully lined interior, and top zip closure. Measures approximately 9-inches X 10-inches X 4.5-inches.